REPRINTED WITH PERMISSION FROM LOYOLA COMMUNICATIONS HEAD COACH CHRIS WALTER '93 was interviewed after the Cub's won the CIF Title. 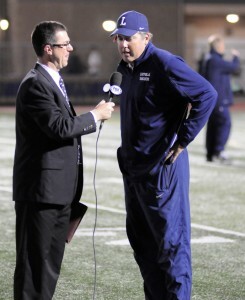 HEAD COACH CHRIS WALTER ’93 was interviewed after the Cub’s won the CIF Title. Varsity soccer head coach Chris Walter ‘93 was named the 2016 CIF Division I Boys Soccer Coach of the Year after coaching the Cubs to a victory in the CIF Championship and CIF Southern Section Division I Regional Final. Walter joined Loyola’s soccer program in 1998 as an assistant coach before becoming head coach in 2000, a position which he has held for the past 16 years. Aside from having been named the CIF Division I Boys Soccer Coach of the Year three times in the past, Walter has coached numerous CIF Championship teams. The Cubs won the CIF Championship and were crowned State Champions in 1998, 2014, and most recently in 2016. 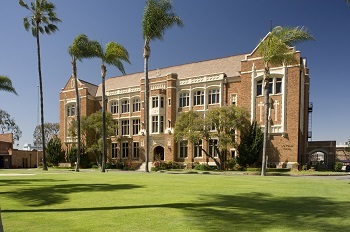 In 2005, the Cubs also won the CIF Championship, which was also the same year that his younger brother Tim Walter was on the team. Walter, along with assistant coach Brad Legant, led the soccer team to an undefeated 12-0 Mission League record and a 28-4 season record that ranked Loyola fifth in the country by Maxpreps.